This week the Concordia Greenhouse is hosting two fun workshops. On Tuesday, come to our Vermicomposting workshop to learn how to start up your own vermicomposting system. $5 to attend, $25 for workshop with worms. RSVP to info@concordiagreenhouse.com. 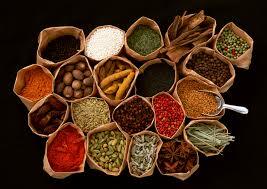 On Thursday, join us for a Herb Talk to learn about super tonic Chinese herbs. More information about these exciting events, can be found below. Also, don’t forget that we are closed for reading week, February 23rd – 27th. Super tonic Chinese herbs will show you how to survive the rest of winter, boost your energy levels, keep yourself warm & sleep better. Many root herbs help us build more vitality, balance our Yin & Yang & be more grounded. Learn where & how to buy herbs in Montreal. Previous PostComing up at the Concordia GreenhouseNext PostTake Our Survey!